On November 29, H.E. Mme. 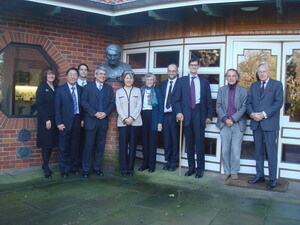 Ambassador Fu Ying visited Cambridge University and met Alison Richard, Executive Vice President, Peter Fox, Director of the Library, Christopher Cullen, President of Needham Research Institute, Robin Yang, Chairman of East of England International (EEI), Sir David Wilson, former Governor of Hong Kong, and Sir Christopher Hum, former British Ambassador to China, etc. Fu Ying delivered a speech named "China's Development: Harmony and Peace" at the Faculty of Asian & Middle Eastern Studies and attended the opening ceremony of Xiangxue-Cambridge Chinese Medicine Research Centre and MEDITRINA Science Park. 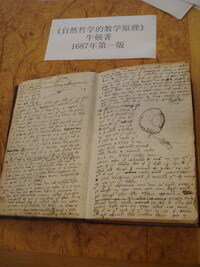 In the library of Cambridge University, which has a history of more than 600 years, the principals showed Fu Ying precious books and the oracle bone inscriptions in Shang Dynasty, Buddhist sutra in Song Dynasty, Illustrated Annals of Foreign Countries in Ming Dynasty, Letter of Kangxi to Foreigners in Qing Dynasty and Poems of Tang Dynasty (family collection of Xu Zhimo), the signature copies of Chinese modern sages Cai Yuanpei and Liang Qichao, as well as Sir Isaac Newton's script of Mathematical Principles of Natural Philosophy. 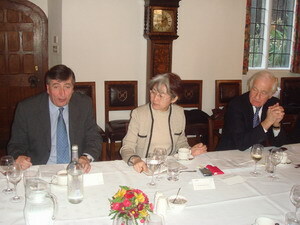 At Needham Research Institute, the UK scholars said that the compilation of History of Science and Technology in China started by Needham Research Institute was going on well. 28 books in 7 volumes had been published and another 7 volumes were being compiled. Fu Ying introduced core messages from the 17th CPC Congress and highly evaluated the proactive attitude of Cambridge University and East of England in cooperation with China in education, culture, science and technology. She denoted that Cambridge University had its outstanding advantages in trainings for civil servants, high education, tourist culture and biological science and technologies. 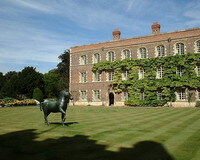 Cambridge Science Park and East of England provided excellent software and hardware environment for foreign investment, which would further deepen and expand cooperation between China and the UK. 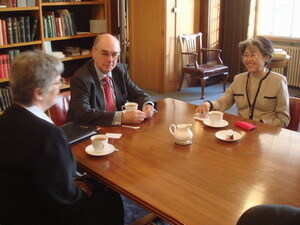 Fu Ying hoped that Cambridge University and East of England could enhance publicity and further promote mutual understanding. 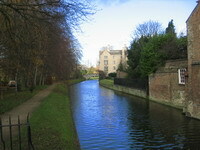 She said that the Chinese Embassy in the UK was willing to act as a bridge linking the two sides. People from Royal Bank of Scotland, Library Group and Mills & Reeve Law Firm expressed willingness to provide professional and quality services on financial and legal information for Chinese companies bounding for international market. The principals of Essex University, University of Hertfordshire said they supported "Borderless Education" plan and were willing to strengthen intercollegiate exchanges with Chinese universities and supported overseas Chinese students to acquire more practice and employment opportunities. The principles of Invest East of England, Essex Parliament and COSCO (UK) said that they welcomed provincial Chinese governments and enterprises to investigate the investment environment in East of England. They are optimistic about the foreground of Chinese market and Sino-UK Relationship, hoping to establish closer ties with relevant departments of China and the Chinese Embassy in the UK.